Bob Lutz and Henrik Fisker just showed the world their new Viper-based supercar, the VLF Force 1, at the Detroit Auto Show. It’s 745 horsepower of Michigan-built, ball-kicking testosterone. And it’s going into production soon. We’ve already shown you Bob Lutz and Heinrik Fisker’s new Fisker Karma-based Destino, the first offering from their new company, VLF. But now the two automobile execs launched a new supercar based on the Dodge Viper, and it looks like it’s going to kill something. Perhaps a bunny. VLF took a Viper, made some changes to the suspension, camshafts, heads and exhaust, and ended up with a 745 horsepower, 638 lb-ft car that will get from 0-60 MPH in 3.0 seconds and scoot to a top speed of 218 MPH. The car supposedly rides much nicer than a Viper, since VLF used the ‘Vette as a benchmark for on-road ride quality. To get that cushy ride quality, VLF has thrown in some fancy adaptive damping electronics, which also allegedly helps the Force 1 pull 1.3Gs around a test track. But with big numbers, come, well, even bigger numbers. Try 268,500. That’s how many dollars the new Force 1 will put you back when it releases to the public later this summer. But of course, they’re only building between 50 and 200 of the things, so if you want an even scarier looking Viper, you’d better get on the waiting list with the other seven people VLF says have already shown interest. The design is wild. It’s got vents and ducts all over the place, and the beltline swoops like a fancy Italian mustache. It’s crazy. But I like it. Update: The transmission options are a six-speed manual (the same Tremec found in the Viper) and a six-speed automatic with paddle shifters that VLF says is already being used in similar applications. 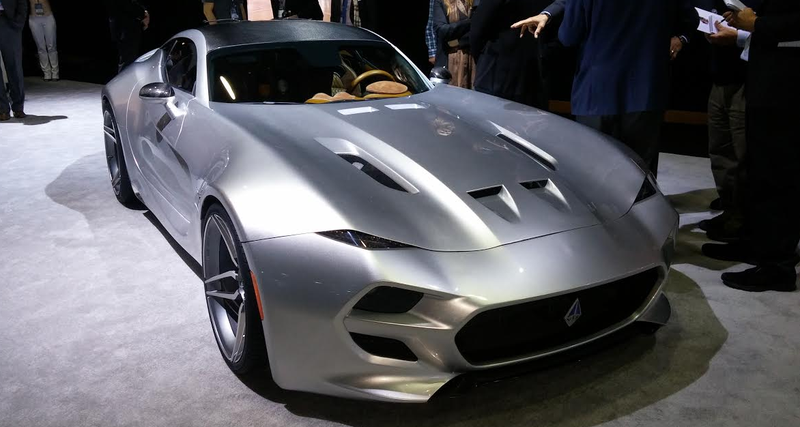 VLF does say their Force 1 is Viper based, but they also say the body is all carbon fiber, and that weight is about 3,395 pounds— so, about the same weight as the aluminum and carbon fiber-bodied Dodge Viper.